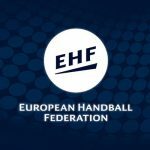 Hungary claimed the second victory in their group, winning over Slovakia with 31-26 in the last match of the Preliminary round of the group D in the W17 EHF Euro Macedonia. Slovakian players have put in a good fight, but were stil unable to pull a suprise against the big favourite in this match. Hungarian players started the match full of confidence, building an easy 5-1 lead after just 5 minutes of play. Slovakia showed character and didn’t give up, cutting the opponent’s lead to 11-7 in the middle of the first half, before coming close to 12-10. Hungary answered with three fast goals and a 15-10 lead, but Slovakia had strength for one more run, finishing the half on a high, cutting the Hungarian lead to just two goals (16-14). Slovakia was the better team at the beginning of the second half, scoring two more goals for a 16-16 draw. Then the Hungarian team started to dominate on the field, playing much better defense and creating a new four-goal lead (23-19). The lead increased to five goals (27-22), as the Hungarian team cruised to the second victory, winning the second place in the group and qualification among the best eight teams in this tournament. It is never easy to play these kind of matches, when you have already made sure that you are in the second round. 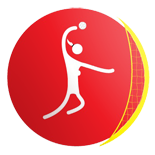 However, my players played very good and managed to win, even though it wasn’t easy, because Slovakia plays unusual handball in the attack and it is very difficult to stop their players. We are now among the best 8 teams and we will go one game at a time, not thinking too far ahead. We tried the best we could against the strong Hungarian team, but it wasn’t enough for us to claim a victory in this match. I expect good performances and at least one victory in the next matches at this championship.